With theft in rural areas on the increase it comes as no surprise to find more farmers turning to CCTV systems to protect their property and livestock. They realise that such surveillance operations not only act as a deterrent by merely being in place, they can also help to identify and apprehend any thieves and intruders. There is so much equipment on a farm, not to mention the animals, that you may have to set out your priorities, be entrances to yards, farm machinery, barns, diesel tanks, the farmhouse itself, or whatever. It will all depend, to a large extent, on what you can afford, but bear in mind that systems can always be upgraded at a later date. For example CCTV is also an important addition in security to help protect and manage personnel. Such systems help ensure that the correct actions are being undertaken by personnel in order to comply with health and safety legislation, particularly in the production of food. CCTV recordings can also provide invaluable in resolving issues concerning working hours and time-keeping. You will be able to protect livestock, which will be under 24 hour surveillance, not to mention the fact that you can also keep an eye on your livestock during lambing and birthing seasons generally. Whether you have a large, food production farm, or a small family farm with a lifetime of work and dreams, we can help you find the perfect CCTV system to provide security and peace of mind, call us today on 0800 211 8310. Security is extremely important for farms and other agricultural premises and environments. So how can CCTV help to keep your stock, livestock, and equipment safe from theft? Strategically placed CCTV cameras can capture clear images of any intruders to your property, ensuring that only authorised workers gain access. 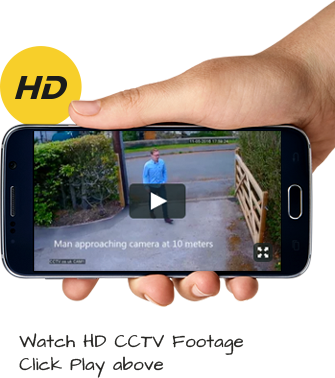 In the event that would-be thieves target your farm, you will be able to provide the police with video evidence. A well-protected water supply is essential for agricultural operations. Farm CCTV cameras can help to protect this highly sensitive area of your farm. Where feed is stored for livestock it is essential that it is not contaminated by rodents. CCTV cameras situated around feed stores and barn areas can be extremely useful in monitoring rodent activity, enabling you to direct pest control activities to the right place. Livestock, especially rare breeds, is very valuable. Farm security in the form of CCTV cameras to monitor areas such as stables and holding pens can help to keep thieves at bay. Used in conjunction with motion sensor activated security lighting and gate alarms, CCTV can prove invaluable in protecting your valuable assets. In addition to the security implications of having your premises protected from intruders, farm CCTV can be used to monitor livestock during crucial times such as lambing, calving, and foaling. Routine operations, such as milking, can also be monitored remotely via CCTV and you can keep an eye on staff to make sure that they are working correctly and efficiently. In these days of increasing theft from farms and other agricultural premises, CCTV could be your first line of defence. You can also use CCTV to improve the day to day running of your farm and business. We had four CCTV Camaras fitted – recording 24hrs – it’s a great deterrent as the area we live has a lot of crime and we was broken into twice before the CCTV – it was worth the expense.